In social media, people contribute, create and comment… not just read or listen. From a marketing perspective, it’s a “pull” environment where people vote on (engage with) what they find interesting. To that end, social media marketers can only be successful if they participate on the same level, executing on the focus of providing value to specific audiences. The result of those efforts should be measured by the “echo” evoked. Instead of impressions and number of followers, success should be measured by response to the contributions… the shares, comments and favorites on one side and measurable web traffic and demand on the other. There’s little relationship between the number of social messages and the level of audience engagement. I think too many marketers and too many social platform vendors get social media marketing wrong. While early contributions from marketers focused on scaling impressions and broadcasting news, todays efforts focus on more advanced means to accomplish the same. 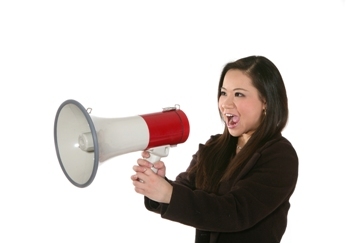 Shouting at the market more frequently or with greater volume is a terrible idea. If social media were a “push” marketing environment, like mass media advertising, this concept would make sense. The issue is that this environment is EXACTLY the opposite. It’s a “pull” marketing environment. The quality of content, genuineness of the contributions and the alignment to the audience needs are what determine engagement. Testing this concept, I set up a Twitter handle and created an automatic posting of tens of thousands of messages. Each message used genuine content that was of value, social media and related articles. Most used relevant hashtags. So, how many audience interactions do you think these posts gather? Nearly none, very close to zero. The issue was less about selection of content. It had little to do with use of hashtags. And, the volume of messages probably did more to turn people away. Rather, the lack of performance had a lot to do with the absence of human touch. Automatic social posting can grab an article title and can assign relevant hashtags but it generally can’t tell your audience WHY the article is important or meaningful. Without a personal point of view as to why something should be viewed, there’s no human touch to the message, and very little value delivered to anyone. This experiment is contrasted to my flow of messages through NewzSocial. I personally review every message. I focus on providing value to my audiences. And, when I select an item to share and I spend an inordinate amount of time making sure I provide thought provoking context to my selection. Hopefully, something people will want to interact with and respond to. I’m not the best at doing this but still each of my posts average nearly 6.5 interactions. Providing value to a specific audience is the single biggest determinant to social engagement. Personally, this is top of mind each time I am socially active. Try it, I know you will find the same. Social media is a visceral, human, personal medium - In social media, people contribute, create and comment... not just read or listen. From a marketing perspective, it's a "pull" environment where people vote on (engage with) what they find interesting. To that end, social media marketers can only be successful if they participate on the same level, executing on the focus of providing value to specific audiences. The result of those efforts should be measured by the "echo" evoked. Instead of impressions and number of followers, success should be measured by response to the contributions... the shares, comments and favorites on one side and measurable web traffic and demand on the other. Founder of NewzSocial tells entrepreneurs to "stay"